Available in 304 grade stainless steel 1mm & 1.2mm thickness size 8ft x 4ft This Stainless Steel Designer Sheets are widely used in architecture, kitchenware, decoration, elevator doors , malls, pillar cladding, lobbies , sculptures and many more. We have established ourselves as a prominent wholesaler and supplier of SS Designer Sheets. These are the sheets that have gained incomparable value among our clients for durability & quality. The range of stainless steel decorative sheets have been designed to offer a high level of quality for use in building , house and other architectural . Grade:- 304 and 316. We offer Designer Mirror Sheet to our clients. 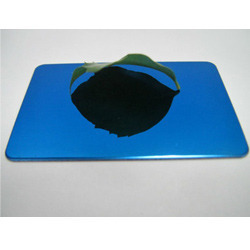 Our company has achieved widespread recognition in providing Mirror Acrylic Sheet. 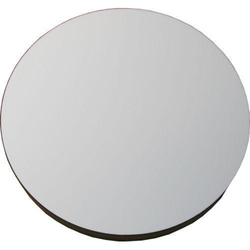 In order to suit the precise requirements of our esteemed clients, our enterprise is dedicatedly engaged in providing Acrylic Mirror Sheet in the market. We are successfully engaged in providing a wide gamut of Aluminum Mirror Sheet.